For years we have watched organizations come and go, many by people looking for recognition, some with honorable intentions initially, who lose the control of that organization. Some who want to help their style, group etc grow and others purely to make money. One thing is apparent however, each tend to attract the same type of people for membership. ​The I.B.F Australia network seems to have a very supportive membership and it extends far beyond just our paid members. It is my belief that by supporting the better elements of the martial arts and combat sport groups we are excluding a lot of the worst characters without the drama of having to "out" them, because they know that they don't fit. 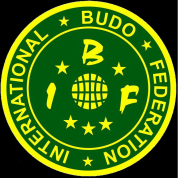 For this reason the IBF Australia focuses on being a hub of support and promotion of the better elements. More will be put on this blog soon.